Towards the end of last year those colour experts at Pantone announced that 2018 would be the year of Pantone 18-3838 Ultra Violet. Described as ‘a dramatically provocative and thoughtful purple shade…Ultra Violet communicates originality, ingenuity, and visionary thinking that points us towards the future’ – inspiring stuff! 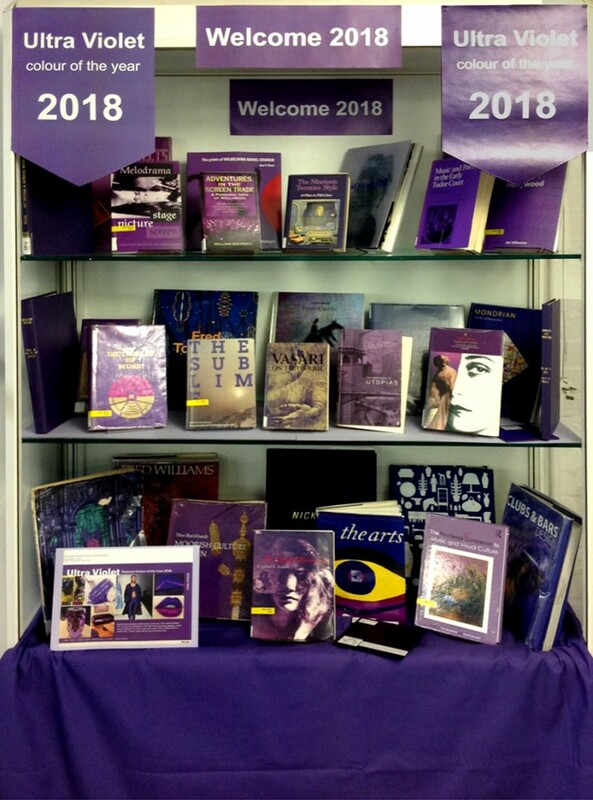 We have got together a display of our Ultra Violet (ish) books at Aldgate Library to welcome in 2018, and hopefully they are all filled with complex, contemplative and mysterious content! This entry was posted in Databases, events and tagged "interior design", Aldgate LIbrary, art, books, Displays, events. Bookmark the permalink.